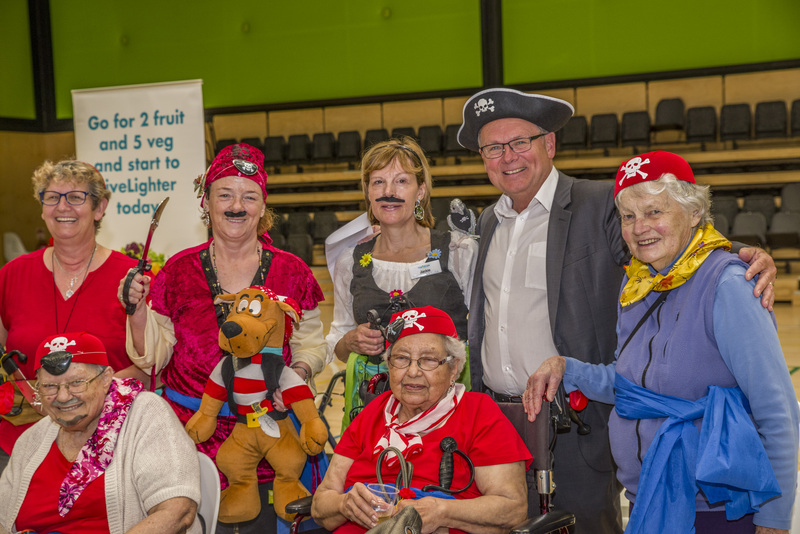 2018 SRCWA LiveLighter Aged Care Games Peel - Seniors Recreation Council of WA Inc.
On Tuesday 9th October 2018 the SRCWA LiveLighter Aged Care Games were held in the Peel region. SRCWA Peel Branch president Jan McGlinn and her group of dedicated volunteers were supported by Alcoa of Australia LTD Huntly Mine Staff to present an event for seniors in care which was enjoyed by all. Fourteen teams competed in a range of activities specifically modified for seniors in care. Before the start of the games students from the Assumption Catholic Primary School Choir performed a few numbers, and sung the National Anthem. An energetic routine was the lunch time entertainment provided by local Mandurah group Beat the Feet. Best presented team on the day (as awarded by our independent judge) was Quambie Park 1 & 2 Tigers, in third place was Brightwater Sharks, second place was The Silver Arrows and first place by a small margin was the Wearne House Warriors . Our oldest competitors on the day were both 101 years old, Vera Mitchell, from Brightwater the Cove and Maisie Kilgallon from Mercy Place Mandurah. SRCWA thanks and acknowledges the hard work by the team from Alcoa Australia Staff, SRCWA State Branch volunteers and SRCWA staff who helped to make this a most enjoyable event for the participants and such a great success. Remember Live_Lighter by eating a rainbow of Fruits and Vegetables.